We Exist Because You Run! NEW in 2019 the Friendship Trail: Near CB and the Friendship Trail. NOTE: Rain or shine we've got you covered, but safety is our #1 priority! So when weather conditions are not safe for our volunteers, they pack up early. 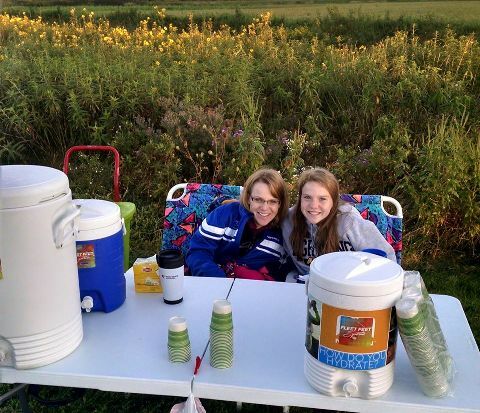 Our Hydration Stations are offered in partnership with the Village of Fox Crossing & Appleton Parks & Recreation Department. While our volunteers are out at their stations, they are tracking usage data for the City of Appleton. The Parks & Rec Dept has secured thousands of dollars in grant money to be used for trail updates and improvement as a result of partnership. Our 2019 volunteer positions are open. If you have interest in volunteering, let us know! 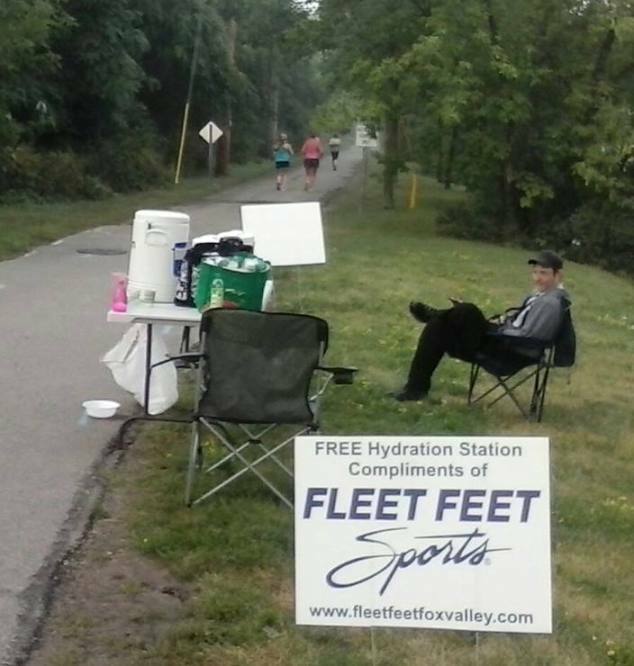 Email outreach@fleetfeetfoxvalley.com.